This is a list of Social Media Terminology and Acronyms. In the world of social media, even the most seasoned professional may seem overwhelmed with the constant new introductions of ideas and methods. The intent of this list is to clarify the most useful terms and acronyms so that all of my readers will feel like a pro! An Aggregator is a person, tool or application that collects syndicated content from the World Wide Web for the purpose of publishing, broadcasting or distributing information about a particular category or item of interest to your readers or followers. Also see Content Curation. Algorithm refers to a rules-based procedure that makes calculations and solves problems. In social media, the most important algorithms are those that determine which content we see. For example, your Facebook News Feed doesn’t show every status update and every photo from every one of your friends. Instead, it displays an algorithmically curated set of content that Facebook thinks is most worth seeing. Similarly, Twitter, Facebook, and Google Plus use algorithms to define which topics and hashtags are currently trending. ↬ Hat Tip! to Hootsuite. Application Program Interface (API) is a set of routines and protocols that develop software applications. Users benefit from these applications because when developers use a common API, it makes the interface familiar and therefore easy to use from site to site. An example of this is signing in with Facebook when joining a particular site. Social Media Badges represent achievements as would a physical badge or trophy. They are used to show achieved training, reputation, affirm status or to identify roles within a group or social media site. It’s a great way to motivate and engage your readers. Also see Rewards. 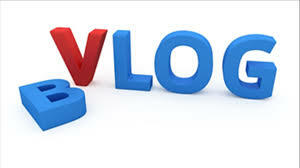 A blog is an online journal that you update on a regular basis. You enter posts on your topic and the posts will appear on your site in reverse chronological order. Most blogs include a utility named "Comments" that encourages interaction from your readers. See also Comments. Comments are written replies by end-users to a post either on social media or a private web site. It conveys your expression of an opinion or reaction to the post. Content Curation is name of the process wherein you collect (aggregate), organize and display information for a particular topic. People that actively pursue content curation are called curators. In the marketing realm of business CRM (customer relationship management) is to manage your interactions with current and future customers. Technology may be used to organize, automate, synchronize sales, marketing, customer service, and technical support. In general, it means customers really matter. Right? So, if your customer relationship management brings good results, your customers will know they really matter. Direct message (DM) is a direct message sent via Twitter that only you and the recipient can see, kind of like a Twitter text message. The user you want to send a direct message to must be following you. I have also seen it used in context with the messaging system on Facebook. An eBook is an electronic book that is either downloaded or read online. There are many types of eBooks with corresponding software to create, publish and read them. A PDF document is an example of one form of eBook. Another more complicated example is to use a particular type of software to publish an eBook to Amazon. Then use the Amazon Kindle eBook software to download and read on a variety of electronic devices. FollowFriday (FF) #followfriday or #ff is used to call out a user’s favorite followers on Twitter. Hashtag is a tactic used to add additional context to your social media posts. An example is#followfriday or #JointheTalk. The Facebook Like button is a feature that allows users to show their support for specific comments, pictures, wall posts, statuses, or fan pages. Microblogging is used to broadcast micro-messages to other members of a particular social media site. Twitter is the most well-known of the microblogging sites which uses no more than 140 characters per post. Open ID is a sign-on that allows Internet users to log on to many different sites using a single digital identity which eliminates the need for a different user name and password for each site. Open Platform refers to a software system that permits any device or application to connect to and operate on its network. Open Source refers to software code that is free to build upon. Well-known open-source projects include the Linux operating system, the Apache Web server and the Firefox browser. Paid social media refers to the use of social media for ad placement. The most common types of paid social media are native advertisements such as Facebook Ads, Twitter Promoted Tweets, LinkedIn Sponsored Updates, and YouTube sponsored videos. Platform is the framework or content management system that runs software and presents user content. For example, WordPress.com is a platform for a community of blogs while Ning 3.0 is a platform for a community of niche social networks. Please Retweet (PRT) is to ask others to retweets your tweet. This is a tactic to spread your content to their followers. A Facebook status update, or an item on a blog or forum. ↬ Hat Tip! Public Domain work is when digital work is donated by its creator or when its copyright expires. A piece of work in the public domain can be freely used for personal or commercial uses. See also Open Source. Reply is used to respond to a tweet through a separate tweet that begins with the other user's @username. Tweets that start with @username then appear in the timelines of users who follow both users. Retweet (RT) is a tweet that you’ve repeated. This is done by a click on the Retweet button or entering RT followed by the twitter name and their tweet text. You may shorten or modify the tweet and add your own comment. Rewards on social media networks give benefits and compensation to the end users for faithfully following the procedures, rules and standards of the social media network. The requirements for rewards vary from network to network. Selfie is a self-portrait that is you take with your smartphone. Selfies are shared on social media networks such as Instagram, Twitter, and Facebook with the hashtag #selfie. The purpose of Share on social media allows your readers to share your content with their followers or readers which results in more traffic, organic distribution, better rankings and extended reach. Social Bookmarking allow users to choose their resources and link them to the social bookmarking site. They may either choose to make these lists public or private. One example is Delicious, a well-known social bookmarking site. Social Entrepreneur is someone who runs a business through social media networks in pursuit of financial return. Social Media is user-created and posted video, audio, or text which is shared on a social media networks. 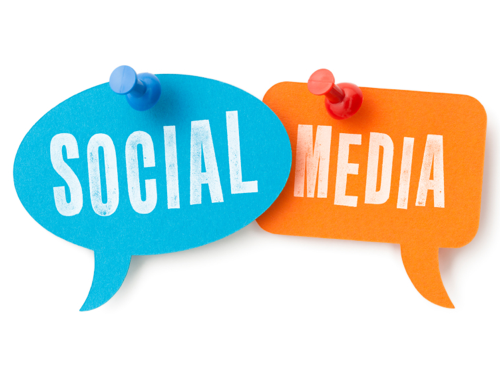 Simply stated, social media refers to an online platform where people publish, discuss and share content. 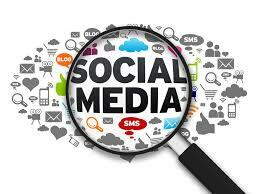 Social Media Marketing (SMM) is a method of using social media networks to market your business, big or small. Acronyms, abbreviations, and other slang terms used in Social Media. Click HERE and it will take you to a site that has it all dialed in and is updated regularly. Social Networking is to socialize in an online community. A typical social network has options to create a profile, add friends, discuss topics with other members, send messages to other members and add your own media. Tags are commonly used on Facebook and Instagram which allows users to create a link back to the profile of the person shown in the picture. Trending Topics refer to the most talked about topics with the use of hashtags on a social media network. These are clickable links that users can either click through to join the conversation or browse the related content. For example #JointheTalk. Tweet is a post on Twitter, a real-time social messaging system. While all agree on usage of tweet as a noun, people disagree on whether you “tweet” or “twitter” as a verb. RT stands for retweet: Users add RT in a tweet if they are reposting something from another person’s tweet. Tweetup is an organized or impromptu gathering of people who use Twitter. Users often include a hashtag, such as #tweetup or #sftweetup, when publicizing a local tweetup. Twitterverse is the universe of people who converse with each on the social media platform known as Twitter. Vlogging is derived from Blogging and Video. It is a blog that contains video entries. It may also be referred to as video podcast, vodcast or vlog.